Reducing edema, cellulite, and muscle stress, preventing varicose veins. 1 area: lower body - waist, buttocks, thighs down to the knees. If all 3 areas are treated at once, then two arms, the middle and both legs are covered as shown in the first photo. We use exactly the same parts as in the photos. 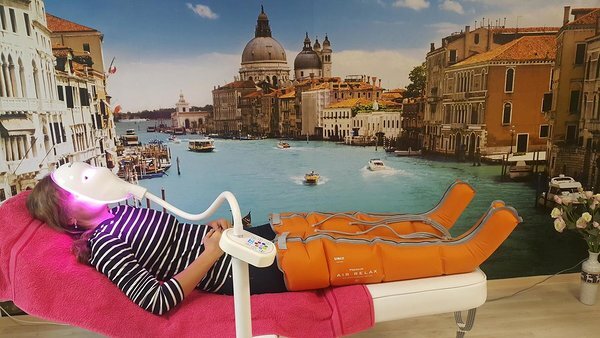 We can perform both pressure massage and light therapy at the same time, as you can see below. It's a nice relaxing treatment, which also saves you time.